Bittersweet Enchantment: Blog Tour: Summoner by S.D. 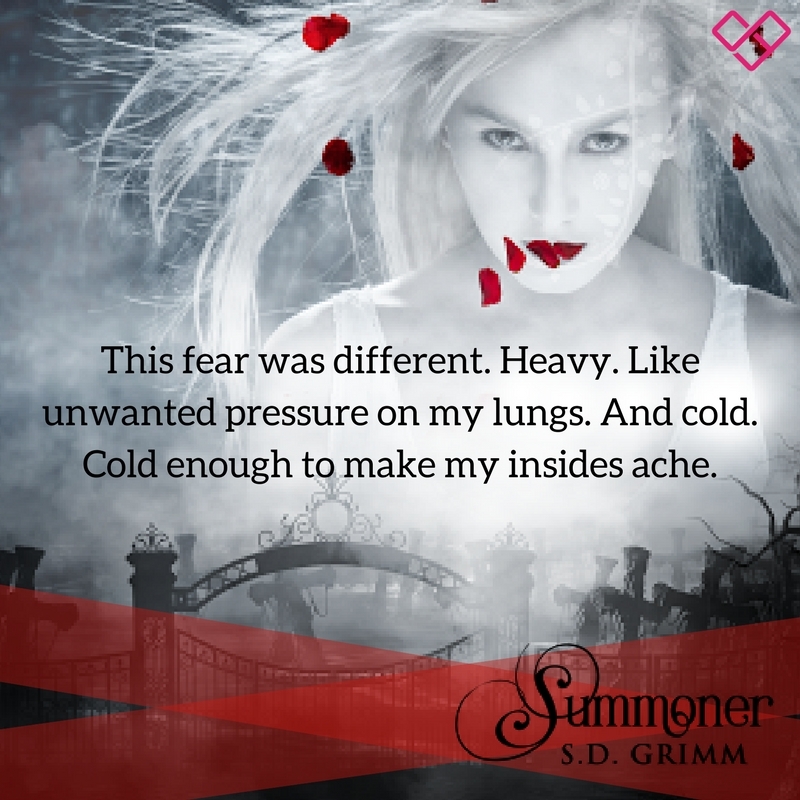 Grimm + Giveaway! 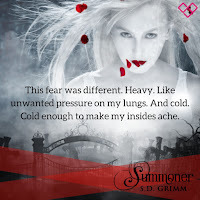 Blog Tour: Summoner by S.D. 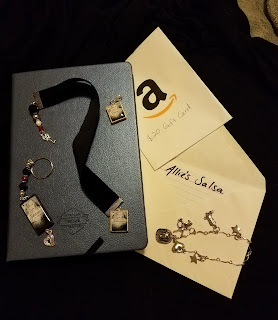 Grimm + Giveaway! 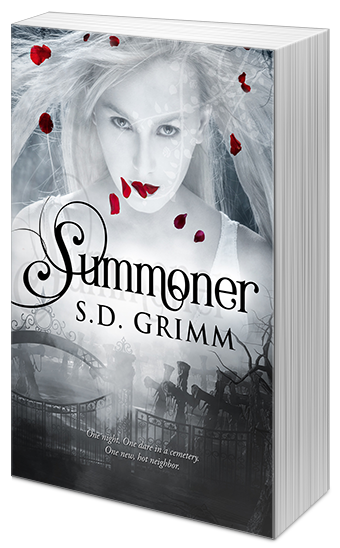 Welcome to the Summoner by S.D. Grimm BLOG TOUR! Today is my stop on the tour where I will be sharing with you all a book spotlight and giveaway! There are some really awesome goodies you can win so be sure to check out the end of this post to enter. When Allie’s best friend dares their group to play a game in a cemetery—something she calls “witching”—Allie never expects what it might mean for her. When she plays, she doesn’t just find bodies, she summons their souls. But one soul wants more than Allie is willing to give.And the boy next door could be the key to saving her. Cody Burkhart. Straight from Montana, cowboy hat wearing, and smoking hot, he’s just the thing to help Allie become “normal” again after the death of her mother. And as her newly appointed Guardian, he’s also just the thing to help Allie ward off the vengeful spirit who’s after her soul. Except Cody has his own demons to slay that keep him closed off. But as the full moon approaches, so does their only chance to break the curse, and Cody will have to make the biggest sacrifice of all. Mandy was right; moonlight made it easier to see, but the uneasy feeling in my stomach intensified as I moved toward that grouping of headstones. They were crooked and uneven. Like the ground beneath them settled a long time ago but never actually stopped settling. The damp air made it harder to breathe. “All right, what do I do with these things?” Derek took one of the L-shaped wires from his sister. An involuntary shiver crept up my back as I recalled how cold those things were. “No way.” Derek shook his head and tried to hand the hanger back. “You scared?” Nell’s smile was evident in her voice. “You can’t possibly tell that.” Mandy’s voice was as breathless as I felt. Did she have any fears? Was I the only one covered in a chill that seemed to cling to my soul? Maybe Mom’s death had altered me in this area, too. Death wasn’t this far-off elusive thing that I never thought about anymore. Death was real. Always present in my thoughts because of the hole it had left in my heart. Hunter groaned until Derek started walking. At first, nothing happened. Then, as he walked past the headstone, to the other side, the metal rods twitched toward him. Imaginary centipedes raced across my skin. S. D. Grimm’s first love in writing is young adult fantasy and science fiction. 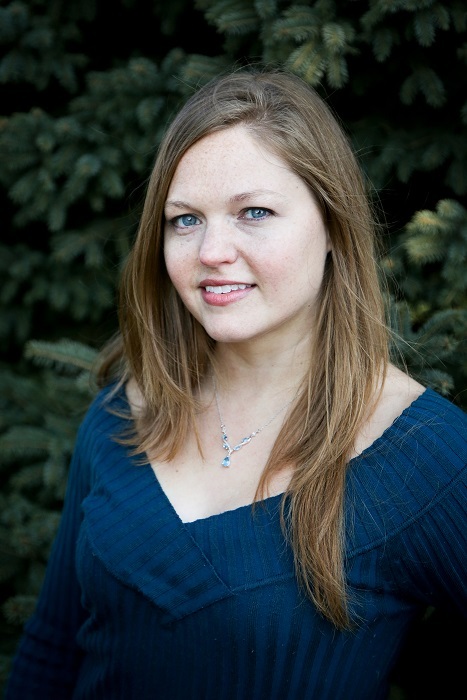 She is represented by Julie Gwinn of the Seymour Agency and author of SCARLET MOON. She currently has four books under contract, including the remainder of her YA fantasy series Children of the Blood Moon. When she’s not writing or editing, Sarah enjoys reading (of course! ), practicing kickboxing and Brazilian jiu jitsu, training dogs, and binge-watching shows with great characters. Her office is anywhere she can curl up with her laptop and at least one large-sized dog. You can learn more about her upcoming novels at www.sdgrimm.com. This place is a gem in this wasteland of small bars. Came to event space NYC here on a Saturday night around 9:30, not too crowded at that time. Ordered 2 beers and fries and the total was around $16.